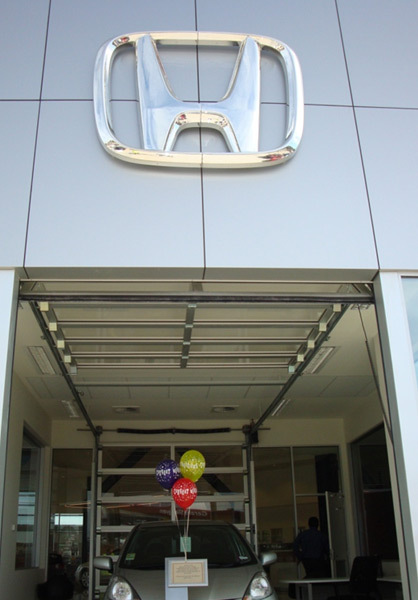 This new Honda Redevelopment is comprised of a modern eye-catching showroom consisting of a bright spacious showroom floor, two high-tech handover bays, a sleek new customer lounge, numerous large offices and plenty of storage capability. 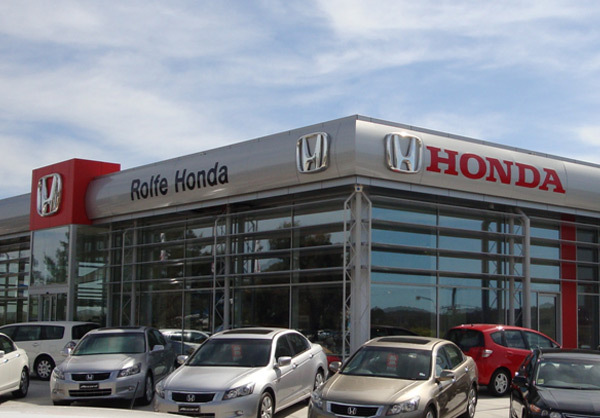 An inviting new service reception, spare parts area and outside display area make up this exciting revitalised sales presentation for Rolfe Honda. The existing building structure was stripped and the structure retained for architectural purposes creating numerous construction difficulties. The priority was to keep the client comfortably trading while the entire site was progressively demolished and rebuilt. 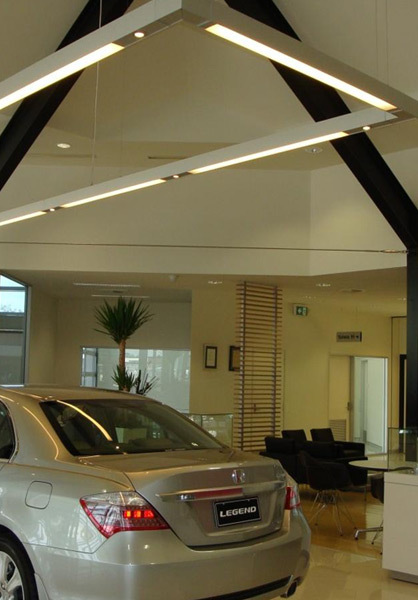 The secondary objective was to minimise the time spent by the client in the temporary sales office which required an aggressive construction program which the Company fulfilled. Nominated for the 2009 Master Builders Excellence in Building Awards, in the Commercial Building $3m – $6m category.